Interim Membership provides IT professionals genuinely seeking election to one of the Institution’s grades a taste of membership while their applications are peer-reviewed by our membership assessors. It also gives us an idea of their calibre and what they can contribute to their intended colleagues in the Institution. 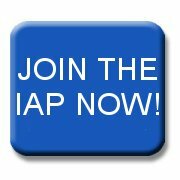 Any IT professional who has not previously been a member of the IAP may apply, once only and for a maximum of four months, for an Interim Membership. This is not a formal grade and confers no right to the use of any post-nominal or designatory letters. The IAP is a company limited by guarantee under English law. This implies certain rights and responsibilities for its members who have completed the application and election process. These rights and responsibilities are NOT conferred on interim members. he or she may then join the IAP LinkedIn group. The IAP reserves the right to remove an interim member from the LinkedIn group without reason or notice and in any case at the termination of the four-month interim membership period, if elected membership has not been sought during this period. Further, elected members may post to the Group without moderation. Interim members are encouraged to submit contributions but they will be moderated and posted only if considered appropriate by the Executive Director for Professionalism and Education or other officer of the IAP to whom he or she may delegate this responsibility. Such officers are not required to give reasons to the interim member for blocking a post, although they may, at their discretion, do so. Nevertheless, contributions from interim members are welcomed and they will be used to inform the subsequent election process. N.B. The Interim Membership scheme is currently being piloted. Its availability may be terminated by Trustee Board at its discretion and at any time.